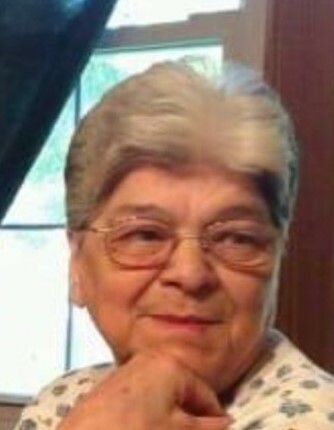 Orwell—Donna M. Bell (nee Boone), age 83, died peacefully at her home on Friday morning, November 23, 2018. She was the daughter of Rankin “Jack” Boone and Sophie Boone of Colebrook, born on December 30, 1934, in Akron. She was married to Richard L. Bell in Arlington Virginia, on January 11, 1956. Donna lived and worked in Orwell for 55 years. She was employed at the Orwell Telephone Company, Kennametal Inc., and the Orwell Dry Cleaners; in addition, she cleaned houses and hung wallpaper with her sister Diane Adams, waited tables, and sold her delicious pies, the recipes for which are coveted by many. She did all of this while raising three children with her husband, Richard. Donna is survived by her three children, Daniel Bell (Melissa) of Canton, David Bell (Pamela) of Orwell, and Dana Lancaster (Larry) of Farmington, her aunt Helen Ewaska of Colebrook, sisters Diane Adams of Orwell, and Judy Wahl of Huntsburg, and brother Daniel Boone of Jefferson, as well as her beloved 11 grandchildren and 26 great grandchildren. She was preceded in death by her parents Jack and Sophie Boone, her husband Richard Bell, and her brothers Jack Boone Jr. and Edward Boone. Visitation will be from 2:00 p.m. to 3:45 p.m. on Wednesday, November 28, 2018, at Paine Funeral Home, 140 East Main Street, Orwell, Ohio, 44076. Funeral services to follow at 4:00 p.m. officiated by Rev. John P. Madden.